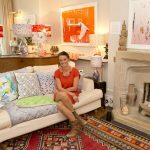 This October why not open your home or studio to the public? 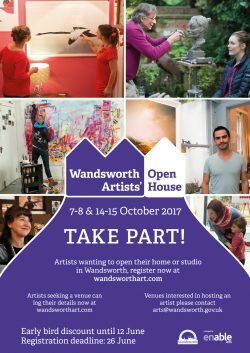 The annual Wandsworth Artists’ Open House (AOH) is back this Autumn and we are looking for artists and makers to take part. 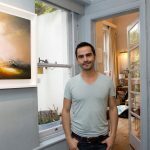 Part of Wandsworth Council’s arts and culture programme, AOH brings together creatives to showcase their talents and skills across the borough in hidden houses, studios and artist spaces – revealing a Wandsworth you never knew existed. 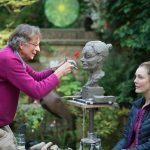 Each year around 10,000 people come to the borough to take a look behind normally closed doors, meet artists, and browse and buy art in a relaxed setting. This is an excellent opportunity to show and sell your work as part an established, borough wide event. 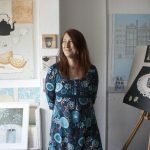 You’ll also benefit from networking with other local artists and meet likeminded people in your area. If you would like to take part but don’t have a venue we can help you find a suitable space to show your work. If you are a venue or a home owner interested in hosting an artist we would love to talk to you. 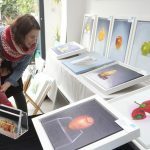 Wandsworth Artists’ Open House is coordinated by Wandsworth Arts Team, part of Enable Leisure and Culture, on behalf of Wandsworth Council. 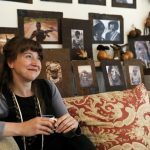 The event is run in conjunction with steering committee of local artists.